Home to the Seattle Reign FC since the 2014 season, Moda Pitch at Memorial Stadium is located on the northeast corner of Seattle Center. 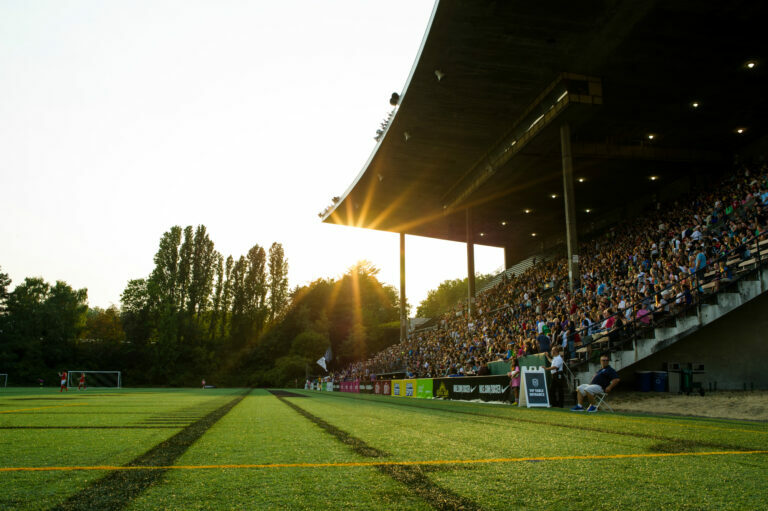 While the stadium has a capacity of 12,000, it is limited to just 6,000 for Reign matches. In the 2015 season, the Reign had an average home attendance of 4,060, and their highest attendance, 6,303, came on the July 26 match vs. Portland. Like its name denotes, Memorial Stadium was built in 1947 to commemorate the Seattle youth who died in WWII. However, on a lighter note, the stadium, in later years, served as the opening ceremonies venue for the Century 21 Exposition, also known as the Seattle World Fair, in 1962.